Crystal Jewelry Trunk Show! 20% to 25% off happening now 72 hours only! Did you miss out on the Academy of Metaphysics Workshops? Maybe they were just out of your budget? Now you can all three workshops for just $48.50 each! Hurry these deals won’t last long! ALL Self-Study Courses now 50% off! What do you love doing … I mean really love doing that makes your Heart and your Soul sing? Did you get all the Free Gifts to help you take that next step to Follow Your Passion? If you’ve been ‘waiting’ till you had ‘time’ …. That time is now beautiful Soul bcuz these amazing Free Gifts are going away … if you click the links tomorrow (OCT 26th) you’ll wish you had stopped and taking a few moments to check these out and download all the gifts you wanted. There are 11 different, real — no fluff — Free Gifts waiting for you to take advantage of all they have to offer you. *What’s Your Unique Design Style? *What Are Your Dreams Trying to Tell You? Don’t put this off till later. It only takes 60 seconds …. You have 60 seconds … right? PS … this ends on TODAY! Meaning tomorrow, the 26th these amazing gifts to help you Follow Your Passion go away … maybe never to be seen again … are you sure you want to take that chance? Tap here now, get in on this while you still can! How would it feel to do what you love most? Did you see this yet? FREE Gift Giveaway – Follow Your Passion and there are 11 amazing free gifts that are all about helping you get more in-tune with what you most want to do. It’s free, all you have to do is click this link and sign-up to get instant access to amazing gifts that can change things for you … if you say ‘yes’ and join us. PS … this ends on Thursday, October 25th. Meaning, the 26th these amazing gifts to help you Follow Your Passion go away … maybe never to be seen again … are you sure you want to take that chance? Tap here now, get in on this while you still can! Did you get your Free Gifts to Follow Your Passion? Did you get your gifts yet beautiful Soul? If not, take a few minutes right now and check them out now … you don’t want to miss out on what could be a piece to the puzzle … you know the one you’ve been trying to figure out? Super quick … this is, after all a FREE Gift Break! Everyone is super busy these days, not to mention ALL the energy shifting that’s happening too. the Angel Lady Terrie Marie, D.Ms. P.S. Free Gifts check it out for yourself — Follow Your Passion Give-Away [tap here for instant access to your Free Gifts now] — We’re waiting to give you amazing gifts to help you with your Life Purpose, Success and Prosperity! Okay Okay it’s time to give you a hint! Sooooo here’s what’s been happening behind the scenes … we’ve been working on something — in my humble opinion — that is HUGE … it’s exciting — AND — it’s a little bit scary too! Nooooo not All Hallows Eve! Something even more spectacular than that! Okay okay here it is … we’ve been putting in some extra-special overtime for the past 90+ days to create a platform for like-minded and open-minded visionaries and Spiritual Leaders helping them gain more exposure, so they can fulfill their purpose of making a difference, even if they are just getting started or have been seeking to build their business for a few years, is part of my Divine Life Purpose. Our intention is to create a “Yelp” style Global Directory for our ever growing Global Spiritual Community, both online and offline, together we will be creating a ‘trusted source’ so there is one central directory, instead of many single-focus directories scattered about online here and there. Our mission, with your help and support, is to create a Global Directory that projects credibility. A trusted source for all who are awakening and seeking the right ‘fit’ coaches, teachers and intuitives to guide them along their Spiritual Path enabling them to fulfill their Life Purpose. Soooo if this resonates with you and you want to become a member of this visionary Spiritual Community, post a ‘comment’ and type “I’m interested:” I’ll add you to our ever-growing list and you’ll be among the first to know when we’re ready to accept members with an early-bird special! We’d love to have you be a part of something very special that will continue to grow, helping all of us expand our reach so that we’re more able to fulfill our purpose of being of service, potentially helping tens of thousands fulfill their purpose too. [Angels of Transformation] for only $11? You or someone you know will continue to struggle trying to figure it all out on our own. So many people — maybe even someone you know — are frustrated because they haven’t found what they’re looking for … which Angels can help them in very specific ways. 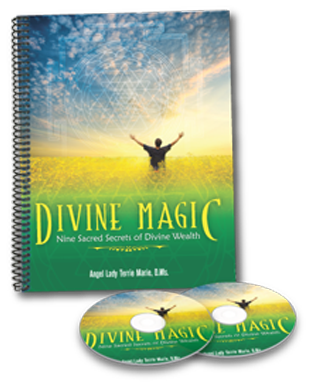 #2 – discover which Angels have shown-up for this Master Angel Class Series, where you’ll learn exactly how they will help you on your Spiritual Path and / or help you grow your business … all for only $11. Another truth is, many of us already know how to connect with Angels and which Angels to call-on for healing, comfort and protection. It’s also true that my life and work are very blessed to be connected to and with Angels every day. These Master Angel Classes are one way to help you get faster results in less time, with more grace and ease. … or you can treat yourself or gift someone a gift and get this Master Angel Class Series right now for 75% off! September is a month of releasing and letting go … Autumn is in full-swing, leaves on the trees start turning brilliant colors and falling to the ground, signifying great change. Don’t know about you … I’m already focusing on the beginning of the New Year … planning the next big Angel Intuitive Summits, a possible Retreat in the Spring or Fall of 2017. Having a Day Planner makes “future planning” so much easier because I can “see” the way the months are laid out and get a sense of what I’m receiving from my beloved Angelic Guides to help me. Have you started thinking and planning for the New Year? It’s going to ARRIVE with “I’M HERE ARE YOU READY!” rush of energy … will you be ready? PS. Fresh from our “Angelic Oven” 2017 Day Planner! 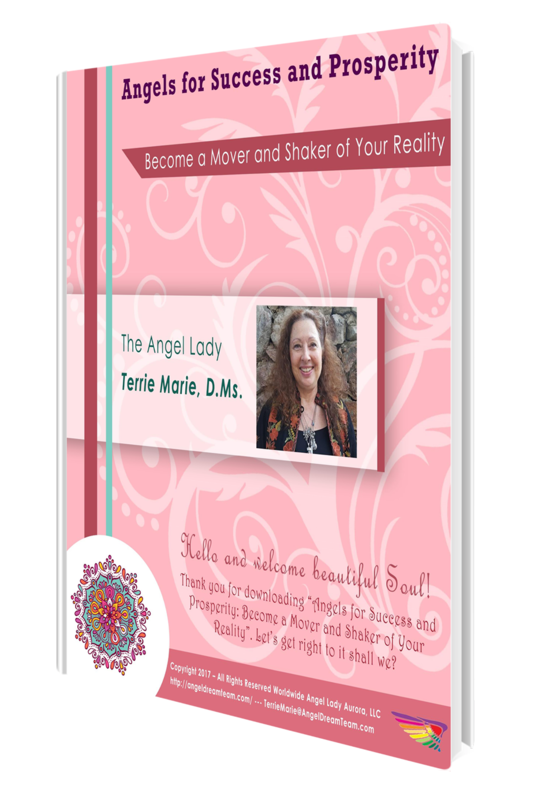 Start enjoying 12 amazing Angels and the special messages they have for you now. Click here now get your digital download copy today and save! Each Angel is hand-colored, infused with Angel Energy with special messages for inspiration and guidance Double-page layout to help you keep track of what’s most important to you Summer is nearly over which means Autumn, Winter and then the New Year. Budget friendly at $11 save 55% off full-price. [last chance] 50 – 75% off popular Angel Courses ends today! … did you get yours yet? If you did, thank you for being open to more Angels coming into your life to help you clear your path! If not, please don’t let this opportunity go by … get yours TODAY because tomorrow it will cost you more than double for all of our most popular Angel Self-Study Courses … the massive savings will go away and everything goes to full price. #5 – Bundle ALL 5 Self-Study Courses for even more savings PLUS Bonuses! Here’s the thing, you really ought to take a few moments right now because the 50 to 75% off savings goes away tonight… that’s just a few hours from now. Then, the prices on our best-selling Self-Study Courses go right back up to full price and you’ll miss out on our 6th Anniversary Blowout savings. I do hope you’re going to take advantage of this very generous offer. Maybe it will come round again … and maybe it won’t. Please don’t wait … give yourself the gift of knowledge … knowledge is empowering.